To celebrate Independence Day, we wanted to take a look at some of the jewels worn by the women who played First Lady to our founding fathers. A portrait of young Martha Washington. As the very first First Lady of the United States of America, Martha Washington understood the importance of keeping up appearances. 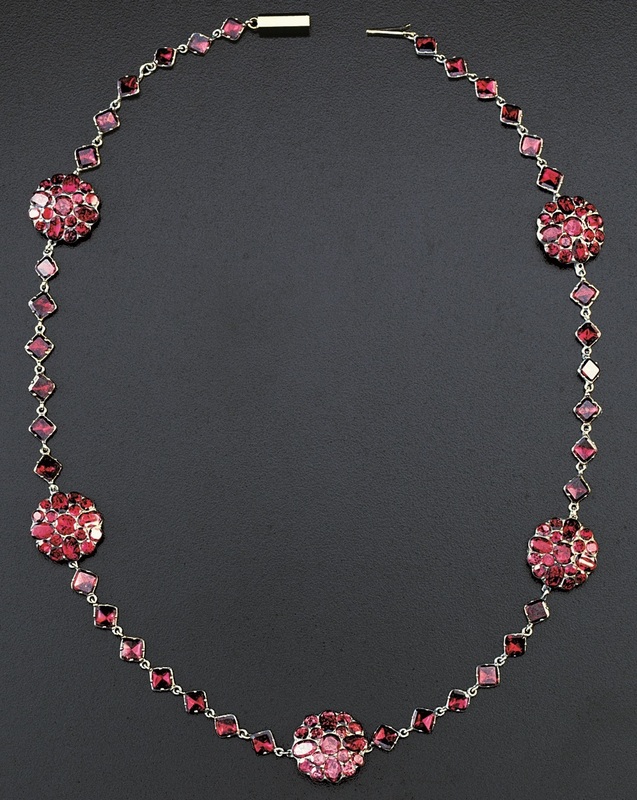 Though she was not ostentatious in her wardrobe choices, Martha did average about $150 per year in jewelry purchases, and some surviving pieces (shown below) reveal a penchant for garnets and seed pearls, which were very trendy in the late eighteenth century. Abigail Adams and her husband John were of more modest means than the Washingtons, and she sensibly decided on faux pearls rather than the real thing. One of her necklaces survives in the collections of the Smithsonian Museum. Faux pearl necklace worn by Abigail Adams. 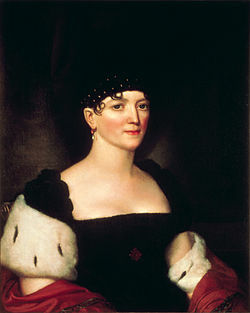 Thomas Jefferson’s eldest daughter Martha (called Patsy) filled the role of first lady while her father was in the white house. There are no surviving portraits of Patsy with jewelry on, but there is a piece of surviving jewelry with a portrait of Patsy on it: a pendant with a hand painted miniature, likely commissioned by her father in 1789. 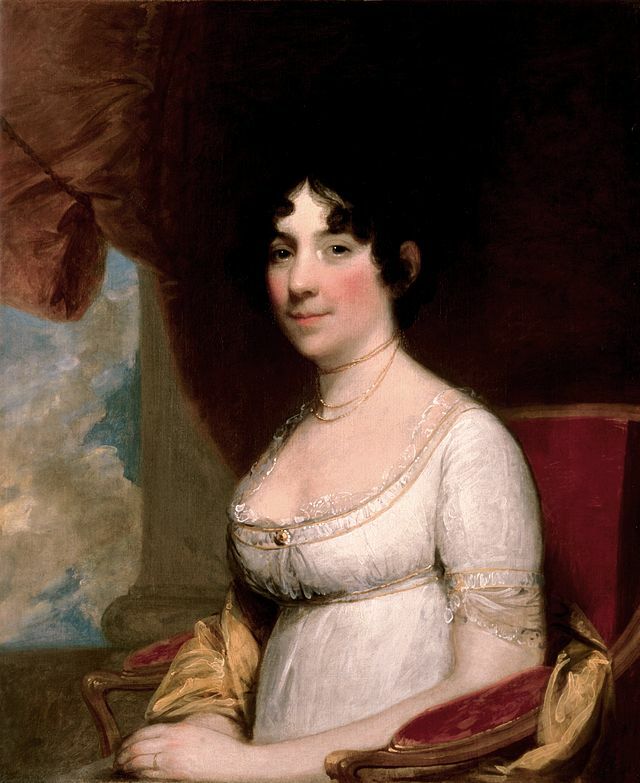 Dolley Madison followed the trend of modest jewelry among first ladies, opting for simple gold pieces in an 1804 portrait, and a strand of pearls with small diamond earrings for a portrait painted in 1817, her last year in the white house. Our last First Lady of the day, Elizabeth, Monroe felt a bit more comfortable with large jewels than her predecessors. A substantial cross of golden topaz and impressive amethyst tiara show her taste towards court dress of European nations. So Happy Independence Day, and in the words of Abigail Adams, "remember the ladies" who helped to lead our country in its earliest days.